The Turner Prize is one of the most eagerly anticipated events of the art calendar in the UK, and this year it is going to be particularly special. The Turner Prize was established in 1984, and is awarded to a British artist, under fifty, who has made an outstanding contribution to British art in the 12 months preceding the award. Usually held at Tate Britain in London, this will be the first time that the award has been held outside of a Tate institution. In 2007 the prize was held at the Tate Liverpool, in it's first visit outside of London, but this year it is being held at Baltic Centre for Contemporary Art in Newcastle upon Tyne. 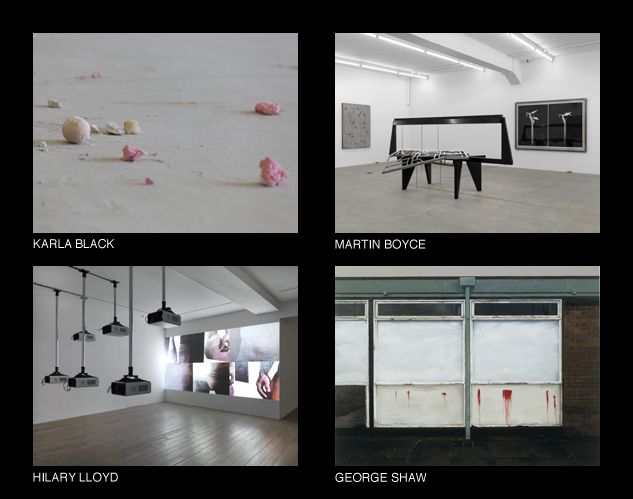 In the running this year are artists Karla Black, Matin Boyce, Hilary Lloyd and George Shaw. The prize goes forward to a jury which, this year, includes Penelope Curtis, Director of Tate Britain, Katrina Brown who is Director of The Common Guild in Glasgow, Vasif Kortun from Platform Garanti in Istanbul, Nadia Schneider who is a freelance curator and Godfrey Worsdale, who is the current Director at Baltic. The Turner Prize offers up a cash reward of £40,000, split between the artists. £25,000 goes to the winner, with £5,000 to each of the nominees. The Turner Prize was previewed to the public at an event at Baltic last night, and the winner will be announced on December 5th. The exhibition itself will run until 8th January, giving people lots of time to visit the first installation of the show outside of the normal confines of the Tate.